No forklift required! Just slide your pallet jack right in to easily transfer drums on this drip-catching deck. 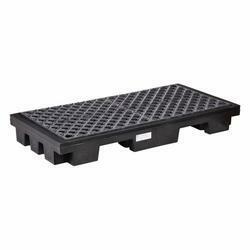 Looking for Chemical Pallet's ?